Literally the land of fire and ice, Iceland just brushes the Arctic circle, making for a bracing combination	of Atlantic wind and rain with Arctic cold and snow. Not unlike Aberdeen. Here the earth is still being made, as the European and North American plates rip the Atlantic Ocean apart. When coming	into land, the stark lunar landscape is quite other-worldly. I visited on a family holiday in Easter 1991, briefly on a stopover to New York, in 2001, then for a couple of nights again in 2015. 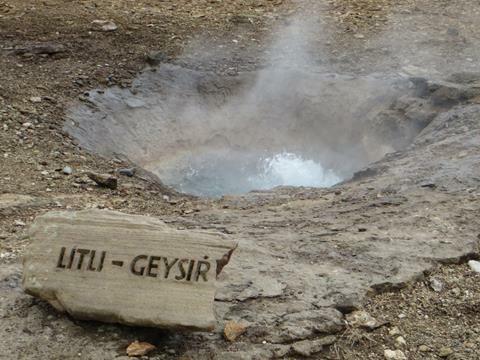 Most memorable from my first trip were the geothermal and natural features	including geysers and boiling mud. 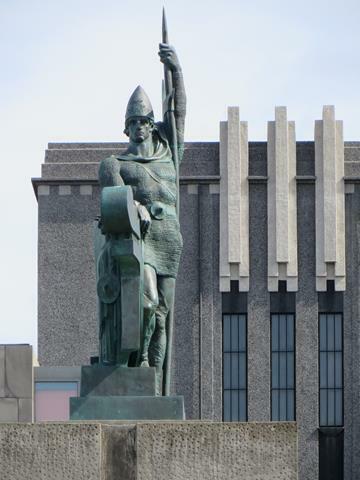 There are about a quarter of a million people in the country,	mostly in the capital Reykjavik. There is a great sense of locality, everybody either knows each	other or is related. I was really happy to go back and see it again as an adult. 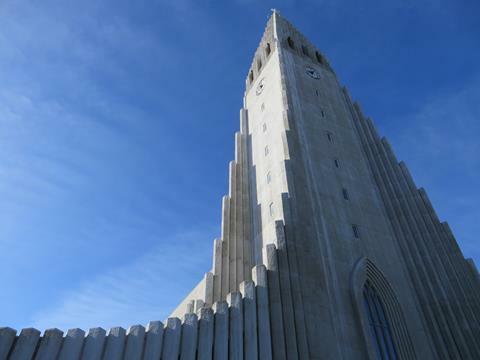 Hallgrimskirkja stands tall on the hill in the centre of Reykjavik, and has a quite unique architectural	style. Construction commenced in 1945, in a style resembling a lava flow. Its austere foreboding	style is very atmospheric. It also made me think of another great church of the far north, Tromso's Arctic Ocean Cathedral. 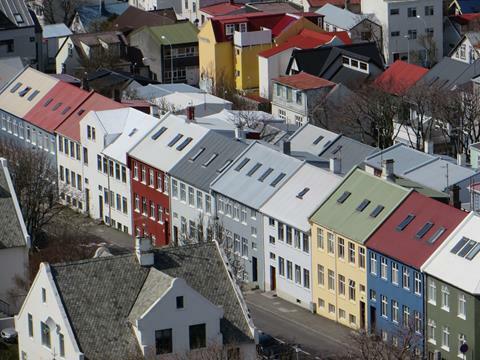 Colourful Reykjavik streets as seen from the top of Hallgrimskirkja's tower. The day I arrived in May	2015 was superbly sunny and warm. 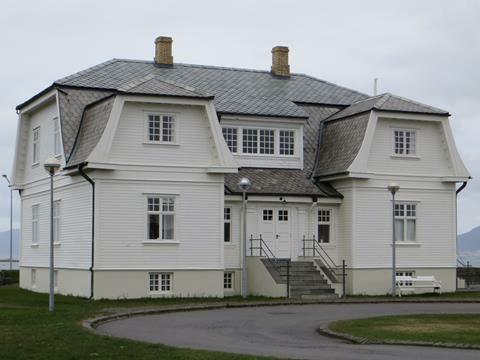 An example of Iceland's harder architecture, I am not sure whether this counts as art deco or brutalism. I believe this is one of the court house buildings. 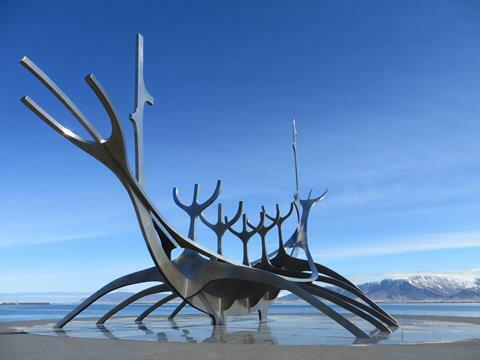 Solfar, the Sun Voyager, is a sculpture on the Reykjavik shoreline, and on this day wouldn't have had to	travel far to reach the sun. Despite appearances, it is decidedly not a Viking ship. It was installed	in 1990 however I have no recollection at all of seeing it on my first trip in 1991. 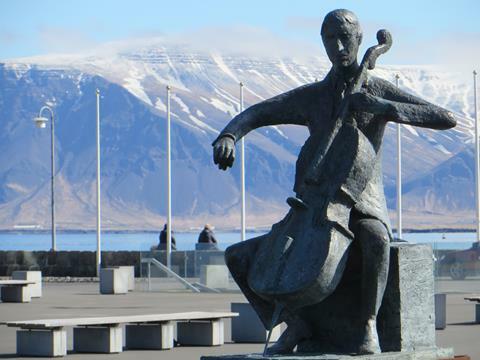 A cellist statue sits outside the Reykjavik Concert Hall, Harpa. He appears to have forgotten his bow. 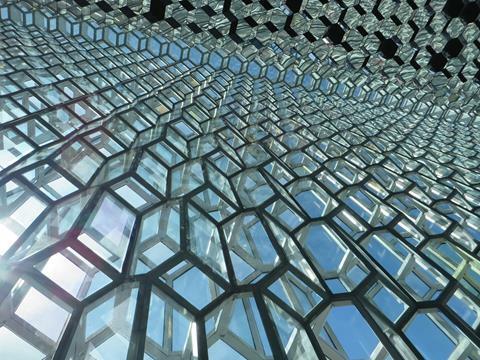 Harpa opened in 2011 and is a spectacular piece of modern architecture. This is a detail from the interior	of the myriad geometric glass cuboids which make up the curtain wall of the building. 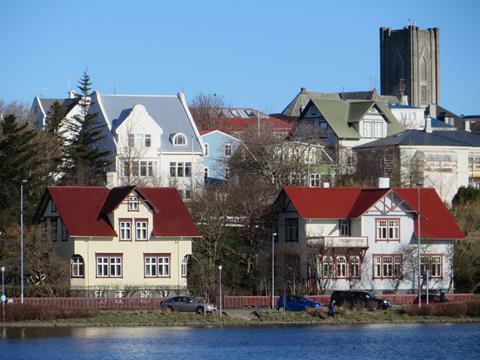 Tjornin, the urban lake and a view of Reykjavik's west end housing. The lake is straddled by the Radhus,	the town hall at the north end. 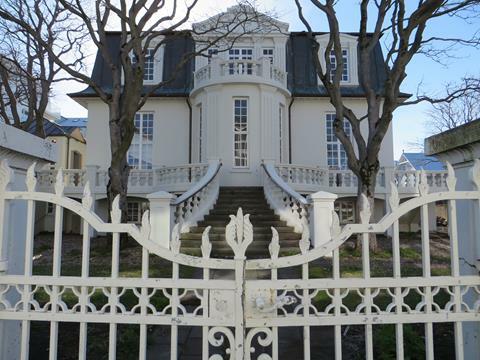 A fancy house in central Reykjavik, I like the symmetry of its design. 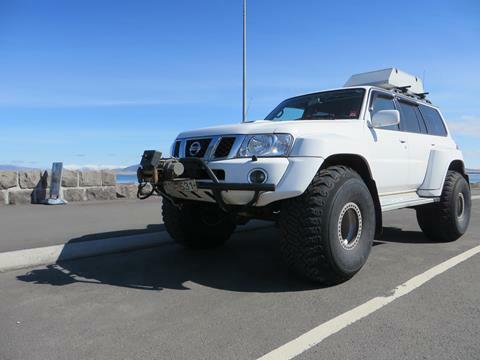 Fat-tyre vehicles ply the streets of Reykjavik, on the lookout for tourists to take on jaunts over the	ice sheets and glaciers. Heavily modified, the trucks have their tyres deflated to practically nothing,	for traction on the ice. If one falls off, it's doused in lighter fluid and set alight, which	pops it back on. 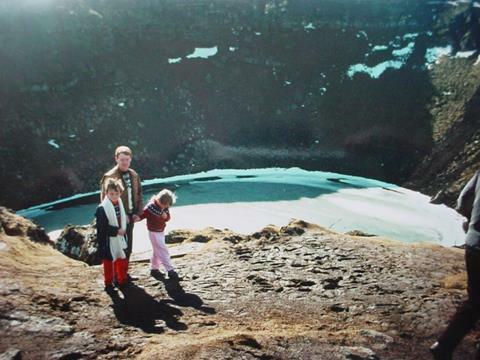 Haukadalur valley is a geothermal hotspot complete with sulphur springs and boiling mud, not far from	Reykjavik. 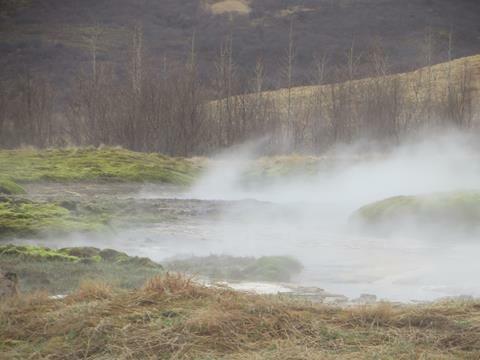 It is an integral part of the Golden Circle tour, and upon arrival the landscape steams	and spurts like something from Middle Earth. The Little Geysir bubbles and boils in its little pot, one of the first sights on a walk around the	Geysir Hot Spring Area. 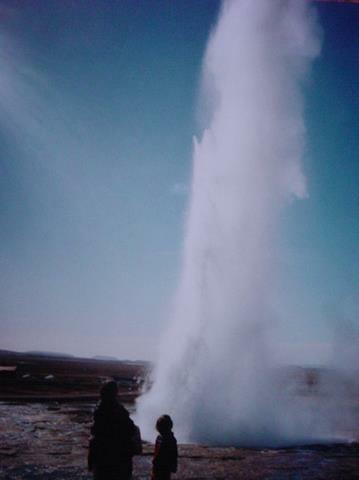 Strokkur, the smaller of the main geysers in Haukadalur, reliably erupts once every few minutes. Her	bigger brother "Geysir", from which all other geysers take their name, is somewhat more temperamental. The Great Geysir is the grand-daddy of them all, the first to ever be documented and the namesake of	all geysers the world over. It erupts only when stimulated to do so, either by earthquakes or manual	intervention, as used to be the case on Icelandic National Day. 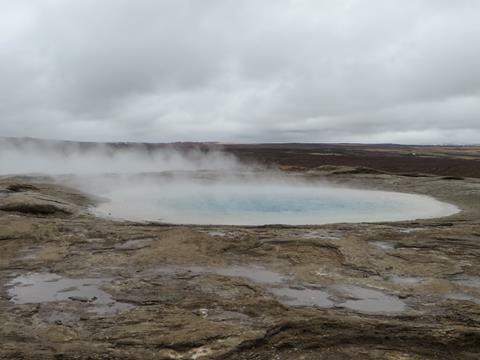 On both my visits, Geysir was sitting,	simmering ominously. 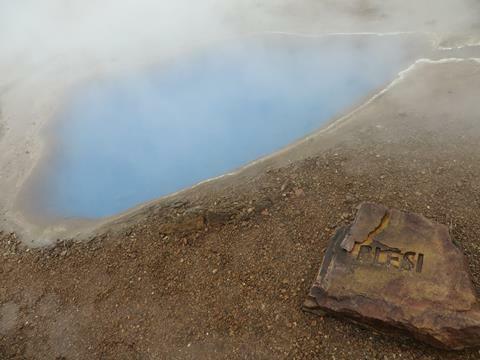 Another curious feature of the Geysir Hot Spring area, the blue pool Blesi actually translates as "The	Blazer". As I had forgotten my swimming shorts, this was the closest I got to a blue lagoon. With	all the steam and the random breezes, it was difficult to get a half-decent picture. 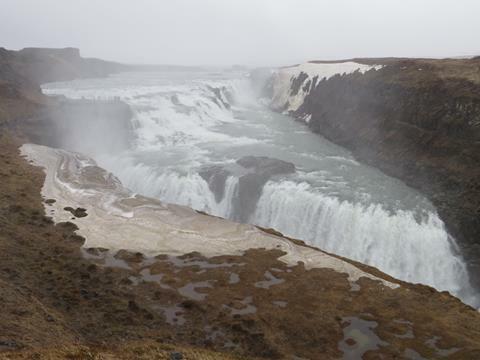 Gullfoss again in 2015, around the same time of year and not much has changed. There were plans at	one point to build a hydroelectric plant here, but the local people saw sense and it is now protected	by state ownership. 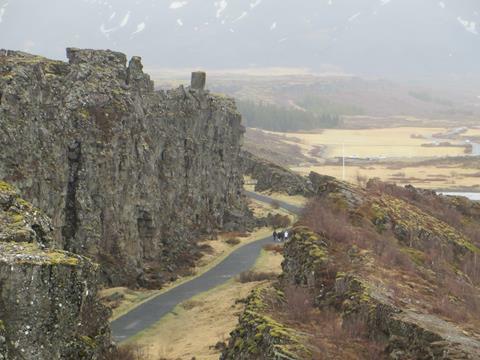 Thingvellir is one of few places on the planet where a continental plate boundary is visible on land. The left hand side is the North American plate, to the right is a no-mans land bounded a couple of	miles away by the edge of the European plate. As the plates drift apart, the Atlantic Ocean widens	and Iceland continues to be torn asunder. One of the many volcanoes in Iceland, Kerio crater is just a small fry. The lake may be frozen over,	but that would pose no problem should the volcano lose its gruntle. 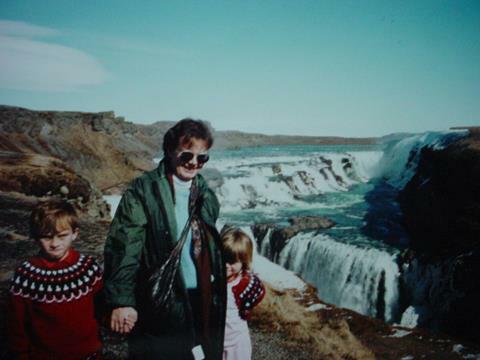 Others erupt with regularity, we	were in Iceland just a few weeks after Hekla had completed a three-month eruption campaign in 1991. On our way back to the city, we stopped off at Skalholt Cathedral. 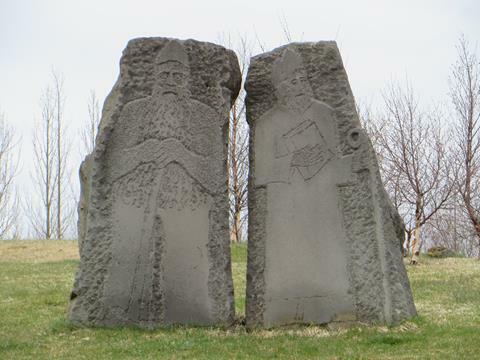 One of the most interesting features	were these carved figures in standing stones - modern of course but still worth a look. A log and grass cabin stands next to Skalholt Cathedral. 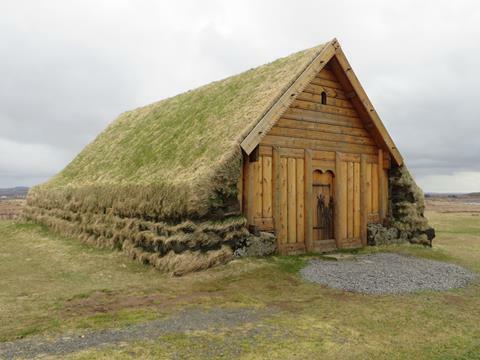 I guess many Icelanders would have lived in	such simple dwellings until relatively recently. With such a wealth of heat just below the surface of Iceland, the people are well equipped to exploit	it. 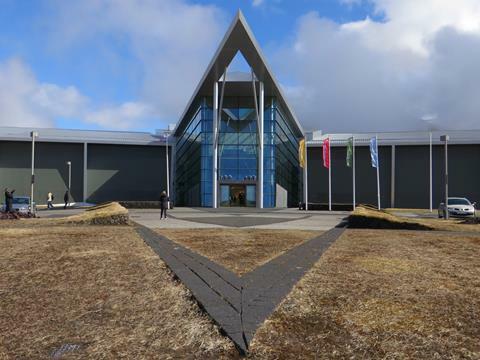 Heating and electricity are two of the few things that are cheap in Iceland, being generated	in such facilities as Hellisheidi geothermal power plant. Hot water is piped directly to the city centre	and under the pavements, preventing snow from lying during winter time. 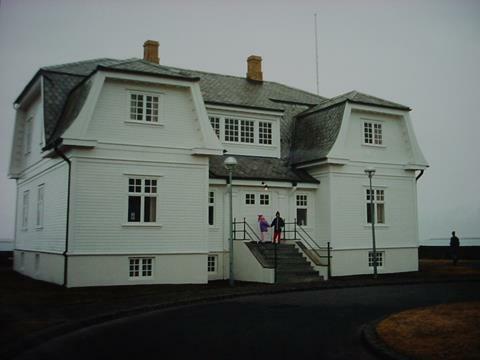 At the Reykjavik Summit of 1986, Ronald Reagan met Mikhail Gorbachev and they shook hands on the steps	of Hofdi, the former French consulate. Only a few years later, the Cold War was over, but neither	premier was reported to have worn pink or red trousers to the occassion. I returned to Hofdi in 2015, having grown wise enough to understand the significance of the event our	parents were having us re-enact back in 1991. I was pleased to see that very little had changed.